Old map by MAARTEN DE VOS . / JOAN GALLE excudit -Biblical figures. Size: 9.8 x 6.3 inches. 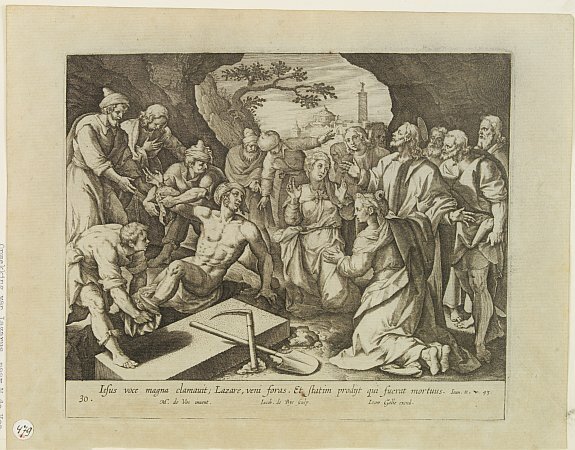 Christ raising Lazarus from the dead. 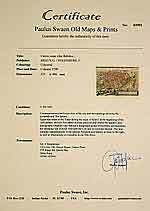 Number 30 of the serial "History of the Old and new testament"
Reference: History of the Old and new testament..